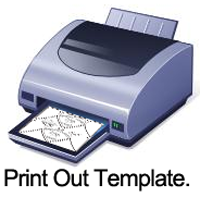 Click on Template below to make larger and to print off. 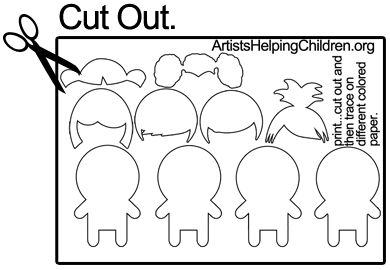 Cut out images on template. 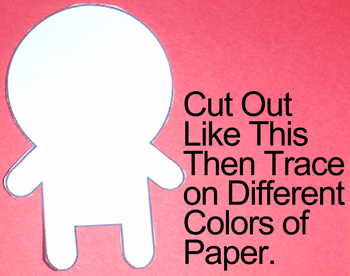 Cut out like this and then trace on different colors of paper. 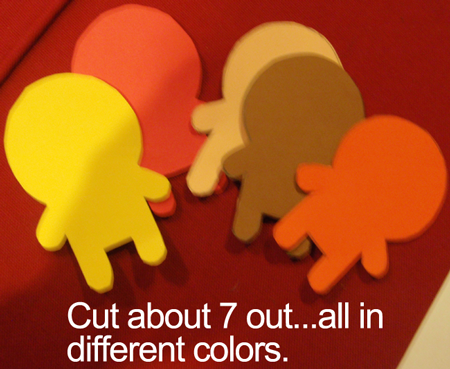 Cut about 7 out… all in different colors. 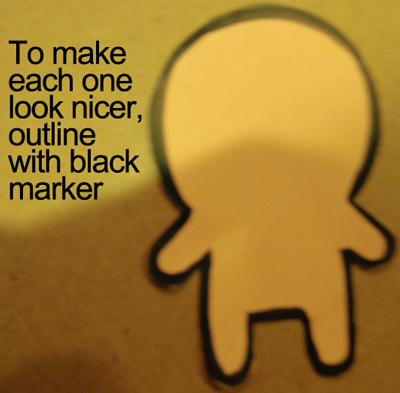 To make each one look nicer, outline with black marker. 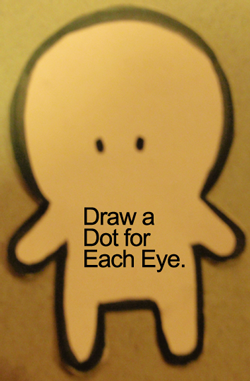 Draw a dot for each eye. 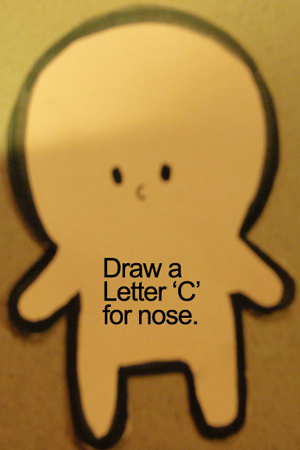 Draw a letter ‘C’ for the nose. 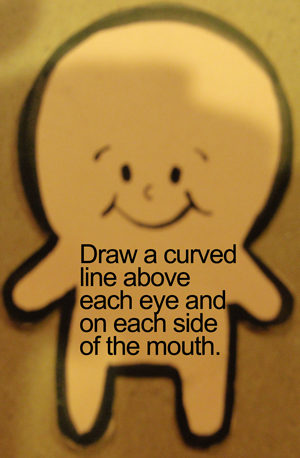 Draw a curved line above each eye and on each side of the mouth. 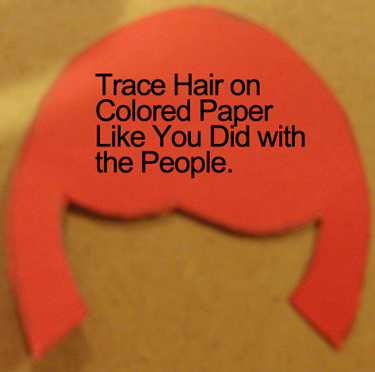 Trace hair on colored paper like you did with the people. 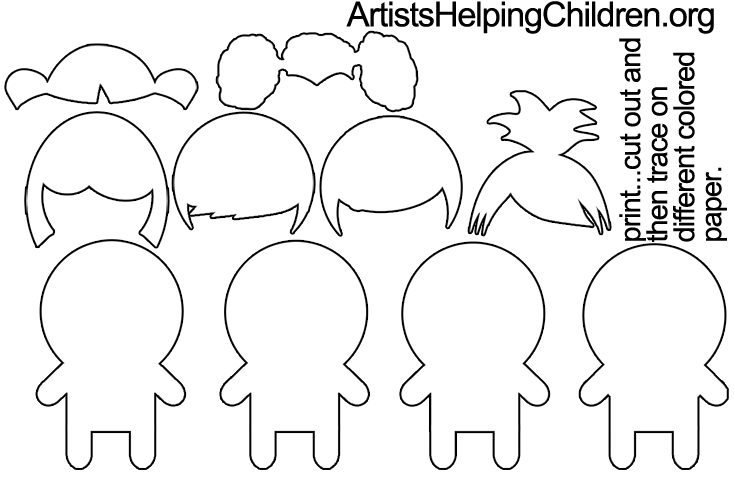 You can outline the hair too. 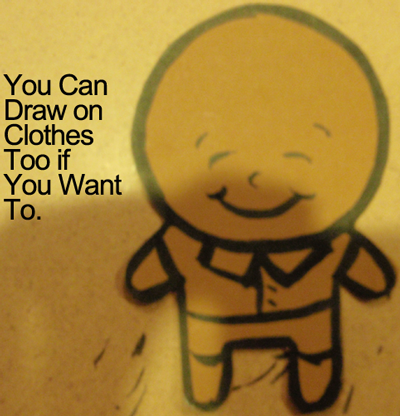 You can draw on clothes too if you want to. 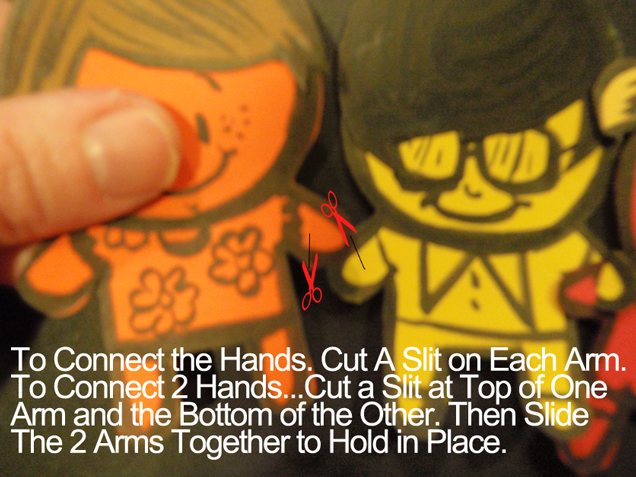 To connect the hands… cut a slit on each arm. To connect two hands… Cut a slit on top of one arm and the bottom of the other. 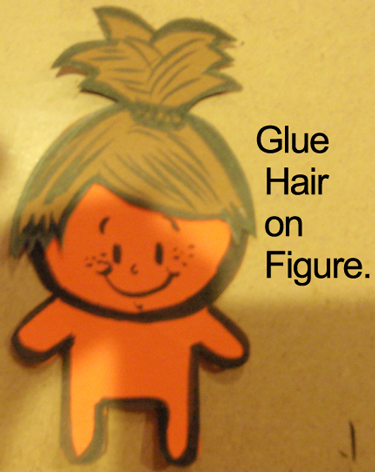 Then slide the two arms together to hold in place. 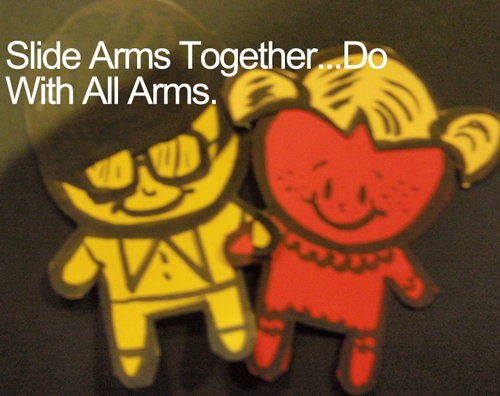 Slide arms together… do with all arms. 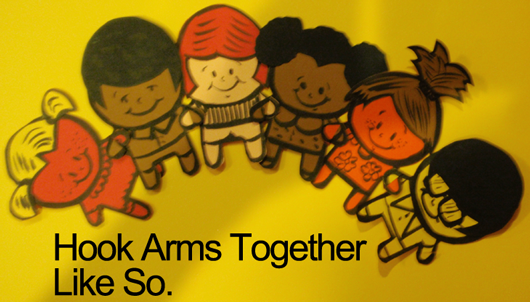 Hook arms together like so. 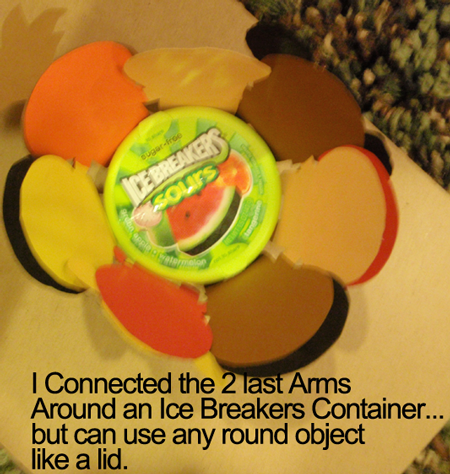 I connected the last 2 arms around an Ice Breakers container, but you can use any round object like a lid. 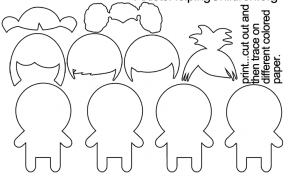 Isn’t this Martin Luther King Day craft cute?! 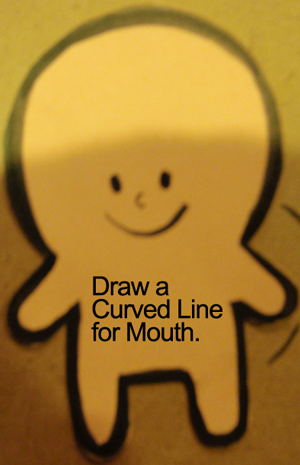 I love the meaning behind it too…. that makes it even more beautiful. 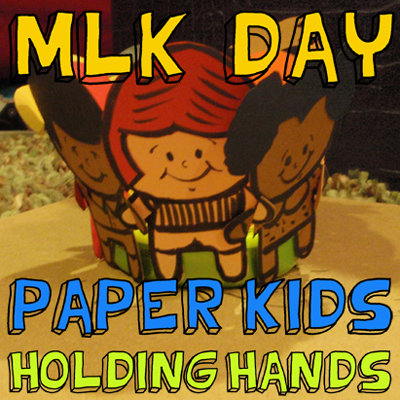 How did your Martin Luther King Day craft turn out? Let me know in the comments below. 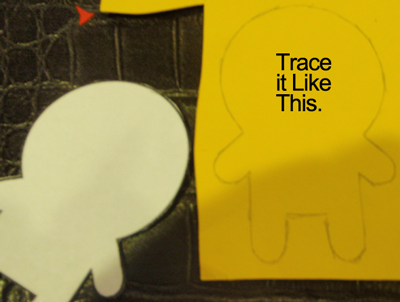 And, don’t forget to take a picture of the craft and share that too in the comments…. 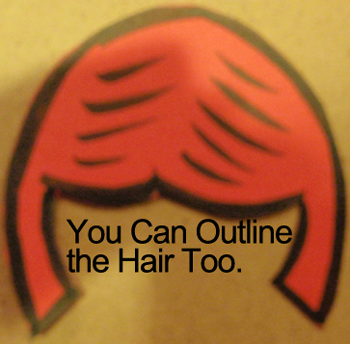 I’d love to see how yours turned out.